It began as an effort to find something new to say about a well-documented trend: the growing levels of racial segregation in American schools. Data journalist Larry Fenn, working with Milwaukee correspondent Ivan Moreno and the Education Beat Team, began analyzing enrollment data, looking for areas where segregation has become especially severe. Fenn spent long hours building the data set, both for AP reporting and for distribution to AP member news organizations. What jumped out, in city after city, was the prevalence of charters among schools with the most extreme racial segregation. 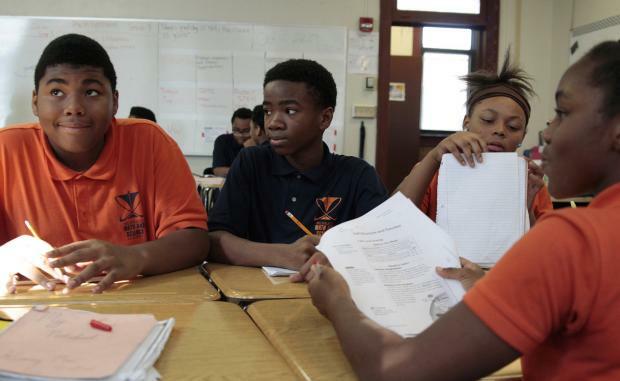 In the story published last week, after months of analysis and reporting, AP revealed that fully 17 percent of charter schools nationally, or over 1,000 of them, have 99 percent minority enrollment. The dataset that Fenn built for distribution to members had the most downloads and most unique users of any of AP’s data offerings to date. Fenn computed new ways to measure racial imbalances, allowing reporters to quickly identify trends and outliers in student demographics and contrast schools and districts against each other. He also worked with Washington-based interactive assignment editor Maureen Linke on an interactive that illustrates the relationship between segregation and school performance. Localized versions of the story have been produced by outlets including Southern California Public Radio, The Detroit News, the Bangor Daily News in Maine, the Times Union in Albany, New York, and The Columbus Dispatch in Ohio. Moreno interviewed students, families and educators at some of these schools with video journalist Carrie Antlfinger, who shot a video piece. The story explored how such hyper-segregated charters can appeal as an alternatives for families in poor, segregated neighborhoods, even when they perform the same or only marginally better than traditional public schools. The story, written with Education Team co-leader Mike Melia, also put the trend in the context of a larger debate about just how much racial integration matters amid a push for expanded school choice by the Education Department. For a project that led to record levels of engagement with an AP data set, Fenn and Moreno share this week’s Best of the States prize.